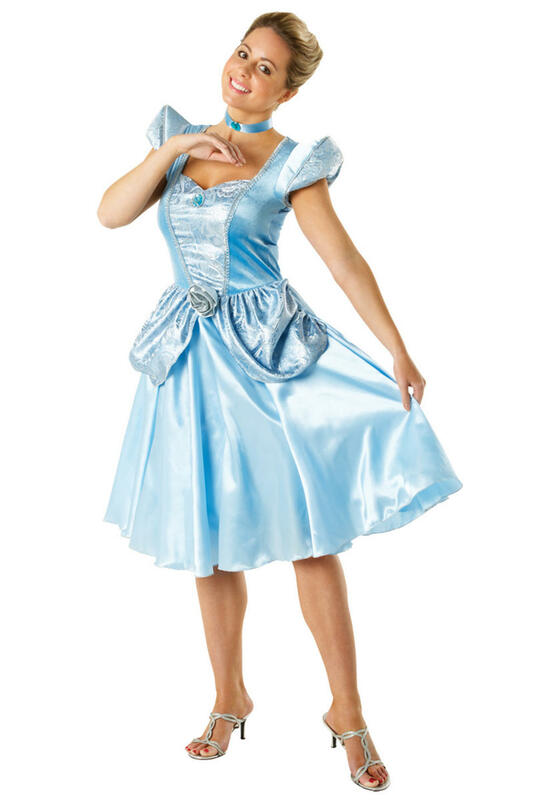 Included is everything perfect for making your three ugly sisters turn green with envy and comprises of a beautiful pale blue ball gown dress, the upper is styled with a pretty patterned panel framed with a silver braid trim and puff ball sleeves. 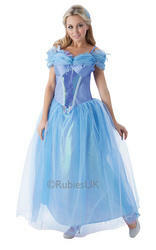 The lower consists of a long blue silk effect skirt decorated with beautifully detailed peplums and a fabric rose. 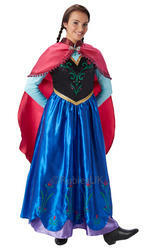 Completing this fairytale fancy dress is a blue choker decorated with a darker coloured gem which is worn around the neck. 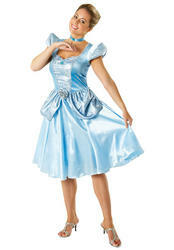 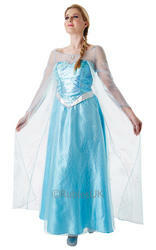 A magical costume for wearing to a Princess, Disney or Fairytale themed fancy dress party.